Tappan was the first dam constructed in the Muskingum Watershed. It was the first project of its kind that allowed for a permanent impoundment behind the dam to allow for recreation and water resources. Tappan is now the water source for the nearby county seat of Cadiz. When the lake was flooded there were two villages that were inundated, Tappan, and Lacyville. Remnants of the town still remain on the bottom of the lake. The surrounding property, nearly 5000 acres was reclaimed to prevent erosion and runoff. Tappan Lake Park lies within this area. The park hosts numerous special events and activities throughout the summer. We host one of the largest fireworks displays in Harrison County on the Fourth of July weekend, and there is always something exciting going on. There are two, reserervable, picnic pavilions, as well as large number of picnic tables in the picnic areas, located right by the beach. The beach is open from Memorial Day to Labor Day and is guarded by certified life guards. You can get an ice cream cone at the concession stand and watch the kids play on the inflatable toys. 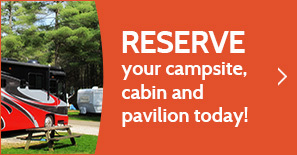 If you want to camp we normally have plenty of campsites available. All of the RV sites have 30 Amp electric hookups, and there is water nearby to fill up you tanks. There are several dump stations in the park, and we also offer pump out service weekly. If roughing is your style, there are plenty of primitive sites available too. The Activity center is situated in the campground, where you can pick up those forgotten items at the camp store or enjoy a meal. 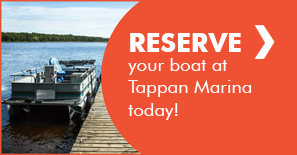 If fishing is your passion, Tappan is one of the best bass lakes in the state. We are host to numerous fishing tournaments throughout the year. The lake is managed by the division of wildlife and is stocked annually with all types of game fish. All you need is your Ohio fishing license.